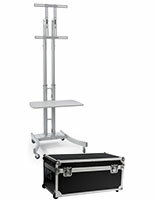 This silver finish tv display shelf accessory is a versatile add on for fixtures from our MB line of television and monitor stands. 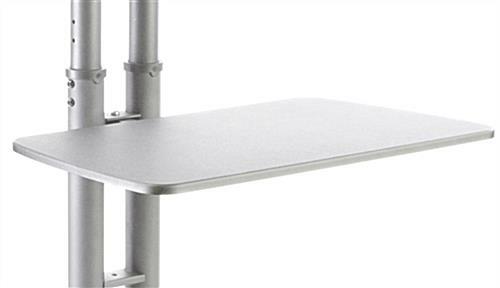 Each easy-to-install MDF tray is 27.75" wide and 16" deep for maximum usability. 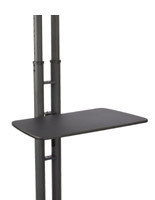 The wide-width tv display shelf accessory creates an integrated storage rack for DVD, CD & other media players, tablets and even merchandise or literature. 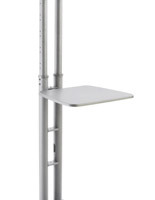 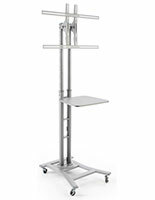 MB series stands are designed for portable or mobile use in different environments. 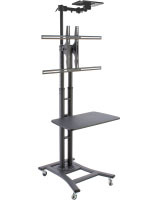 Adding this tv display shelf accessory increases the utility of the fixtures. 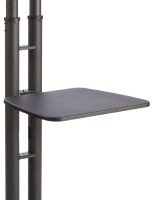 The economical add-on is a superior choice for commercial, professional and institutional businesses that need additional shelving on MB presentation or media stands.